Trees have fallen blocking the roads, train services were disrupted, roofs were blown off, power cables were brought down and wooden buildings as well as timber garden buildings were damaged! The UK storms have left thousands of households without electricity. UK storm across the country was battered from East to West this year! Many roads, parks and cemeteries were closed, the schools and colleges are shut and will reopen when the site has been made safe. The fire and rescue services are receiving thousands of storm related calls from the last couple of weeks. The authorities are advising people to take caution in open spaces. 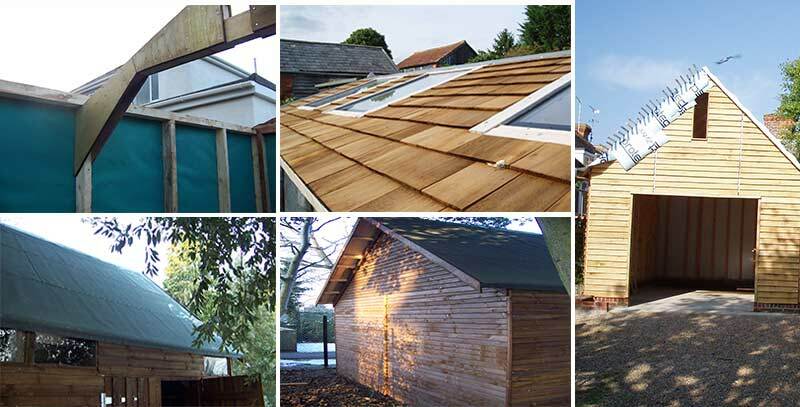 It has been reported that there has been more damages to timber buildings like garden buildings, sheds, workshops, garages, carports, wooden stables, field shelters, beach huts, log houses, animal housings, summer houses, green houses, sports pavilions and club houses within the households due to UK storm. The strong wind and heavy rains may have left a wide variety of storm damages to your household timber buildings. 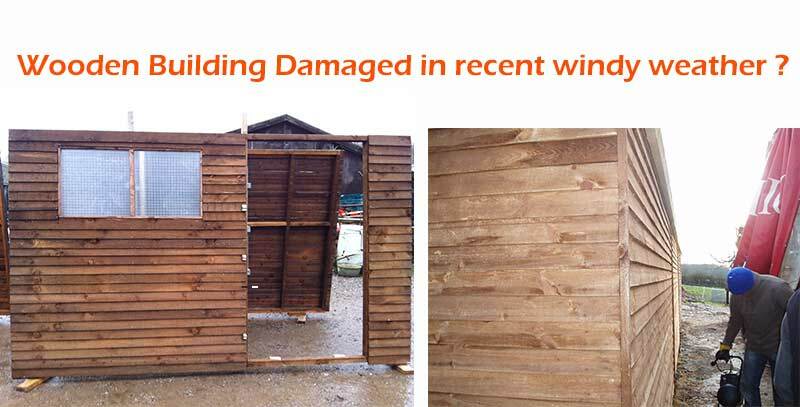 If you are looking for wind and storm damage repairs to your wooden buildings, Custom Timber Buildings Ltd. can assess and fix the damage caused by the storm and windy weather. Please feel free to call us for advice. 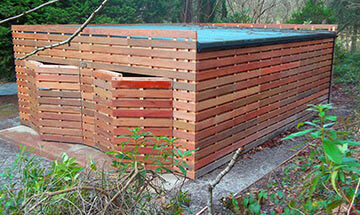 After the assessment we can begin to repair or replace the storm damaged wooden buildings. 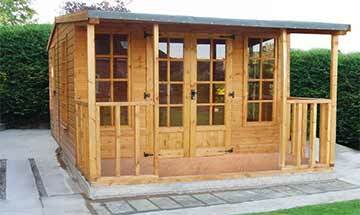 We can also undertake emergency insurance claims for emergency repair work. 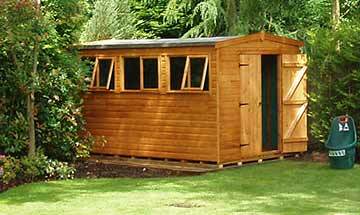 ✅ Repair or Replace Storm Damaged timber Buildings. ✅ Emergency Repair Work for Insurance Claims. ✅ Free Assessment & Advice. ✅ Safely Assess your Wooden Buildings and Fix The Issues Caused By the Storm. ✅ Friendly, Down To Earth Advice & Assistance From Our Team Of Bespoke Buildings Experts.